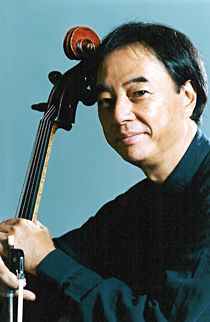 Sadao Harada, cello, began his musical studies with his father and continued them with Hideo Saito at the age of 11. A graduate of the Toho School of Music, he won First prize at the Mainichi and NHK Cello Competition, which led to solo performances throughout Japan. He was the youngest principal cellist of the Tokyo Symphony Orchestra prior to coming to the United States where he became cellist of both the Aspen Chamber Orchestra and the Nashville Symphony. In 1969, he founded the Tokyo String Quartet and remained its cellist until June, 1999. In those thirty years he led the quartet to world prominence, it was praised for its exceptional technical command and dynamic performance style. With the Tokyo String Quartet he also made numerous award-winning recordings for Deutsche Grammophon and BMG Red Seal. In 2000 he began a regular collaboration with violinist Joji Hattori. Today, Harada maintains a busy international career as an acclaimed soloist, chamber musician, and pedagogue. Recent musical activities include solo appearances with the New Japan Philharmonic and Seiji Ozawa (in Brahms Double Concerto) and a series of concerts with the NHK Symphony Orchestra as well as special collaborations with artists such as the Alban Berg Quartet, Jessye Norman, Pinchas Zukerman or Joseph Kalichstein. He performs regularly at various international chamber music festivals including the Festival de Musica de Camera in San Miguel de Allende, Mexico. Sadao Harada is currently a Professor at the Staatliche Musikhochschule in Trossingen, Germany.